Killing the cat is the trouble worth getting into! Learning and exploring is a continuous process. It ends when your life ends. You never feel that you know enough, that you have achieved enough. Watch this amazing talk by Ali and see how beautifully he demonstrated that it is okay to not know everything and how that affects the confidence level of an individual. Ali Murtaza is a Lahore based designer and educator who specializes in industrial and interaction design. He is a Fulbright alumnus, and holds an MFA in Industrial Design from Savannah College of Art & Design (SCAD). As a design consultant, Ali has worked with clients like Dolby Labs, Grid Impact, Coke USA, Audi, the Biomimicry Institute and Innovations for Poverty Alleviation Lab (IPAL). 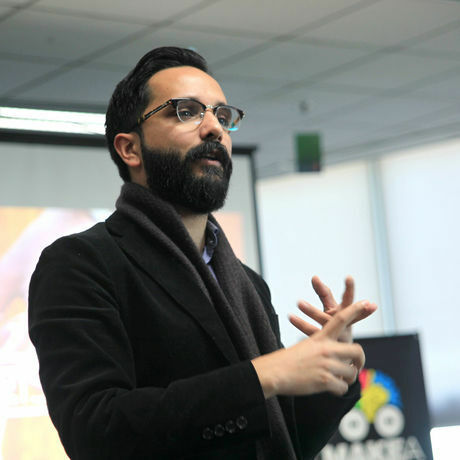 Ali currently manages Makeistan - Pakistan’s first academic maker space - and teaches design in the Electrical Engineering department at Information Technology University (ITU). He has previously taught at Beaconhouse National University (BNU) and is a frequent guest lecturer and juror at art and design schools around Pakistan. He is also a Rajeev Circle Fellow, and Director of the fellowship’s Digital Arts and Technology program.